I’ve been sharing about my decision to return to homeschooling this fall after enrolling my kids in public school for a few months last school year. One of the major reasons why I decided to take a homeschooling break was because I was burned out. Three of our kids have ADHD, as do I, and keeping everyone on task (including me) was becoming a challenge. It was time to take a break. But now that things have settled back down, I’m planning for how I can make this upcoming school year our best (and most relaxed one) yet. 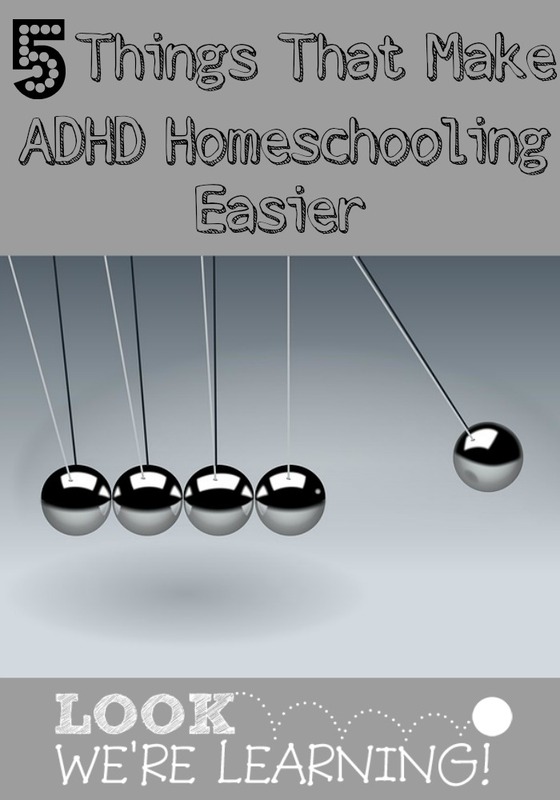 And so today, I’m sharing five things that make ADHD homeschooling easier! Tigger is not a math fan. But when we use math manipulatives, she enjoys it much, much more. That means taking math off the textbook page and making it interactive. We use both Unifix Cubes and Counting Bears to help our kids visualize their math problems while learning. We’ve also used a literary approach with resources such as Life of Fred and Arithmetic Village to make the problems more of a “visual” exercise for her. Flash cards are a huge help with covering homeschooling topics with our kids. Roo, in particular, loves them because he is partial to holding items while we cover lessons. All of our kids love to dance, so we use music pretty often. We take dance breaks in between lessons and when we clean up the house, we play music to encourage them to relax. Personally, when I have trouble focusing on a task for our homeschool, such as planning lessons or organizing my resources, I use Focus @ Will. It’s an online streaming music service that plays instrumental tracks according to the mood you select. They even have a channel for ADHD, and it works wonders for my concentration. Another big part of making learning interesting for my kids with ADHD is to use educational games. I try to pick games that are either short on directions or short on time, which keeps my kids from getting frustrated as they learn how to play. Stare Junior! is one of our very favorite games. It’s a game that helps kids practice observing by staring at a picture for two minutes and then trying to remember details from it. We also like BrainBox Nature, because it’s a super short game (2 minutes each round) and it’s a perfect way to break up lessons while continuing with something educational. I mentioned Brain Breaks in a post I wrote over at The Homeschool Post about my favorite things about homeschooling with ADHD, but the ebook deserves another shout out here. Brain Breaks are great for helping our kids “let off steam”. They get to choose their own activity and then complete it in a short round. Plus, there are lots of activities to choose from, so they never get bored with their choices. For even more helpful suggestions for homeschooling with ADHD, see our series 31 Days of ADHD Homeschooling to get tips, suggestions, and ideas for your family! This post is part of the “Things My Homeschool Couldn’t Do Without” linkup from iHomeschool Network! 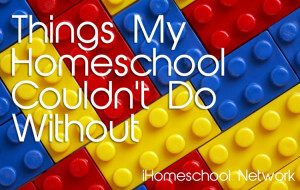 Click on over to read even more fabulous posts by our fellow homeschooling bloggers!